So, it is now officially winter! After several weeks of temperatures dropping to 10c (50f) we really feel like we are experiencing Winter here in the Tropics! A true Dry Season brings us these chilly nights and there has even been frost further north in the Kimberley, so be prepared if you are heading north! Of course we still have brilliant blue skies and 30c (86f) during the day, but the sun is setting at 5:20pm and the temperature soon drops off. 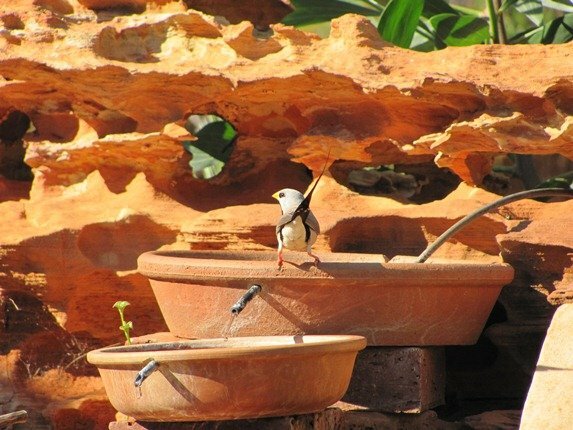 When we first moved into our home in the winter of 2000 we had daily visits by Long-tailed Finches and they took advantage of the water that we provided for them. By 2002 we were seeing them a lot less regularly and the Double-barred Finch was the daily visitor to our garden instead. There had been no obvious change in the local environment, but with our weekly records for our garden we have seen many changes over the years. In 2003 we rarely saw Long-tailed Finches at all in our garden and in 2004 we only saw them once in October. We had a pleasant surprise in 2005 when a pair visited every week in September and October and then they were gone. 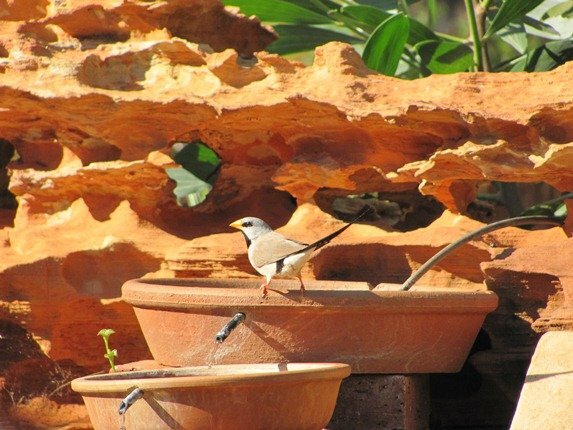 You can easily see Long-tailed Finches at the ephemeral lakes surrounding Broome on most visits, but it would appear that the population that had lived on the outskirts of Broome had dispersed and no longer required the water we provided. 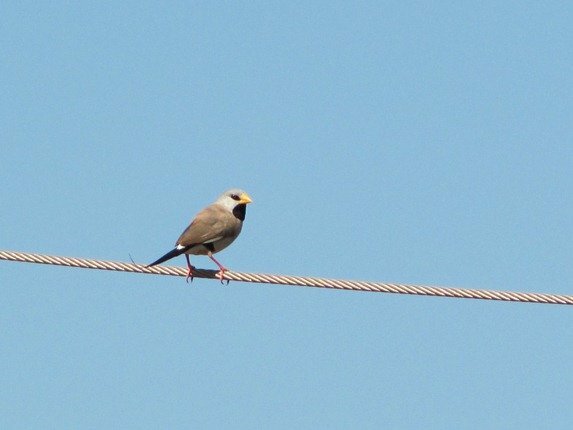 The Double-barred Finches continued to visit and they still do in family groups daily. They are quite happy to land within a few metres of us and it makes you feel chilly first thing as they splash around in the water. 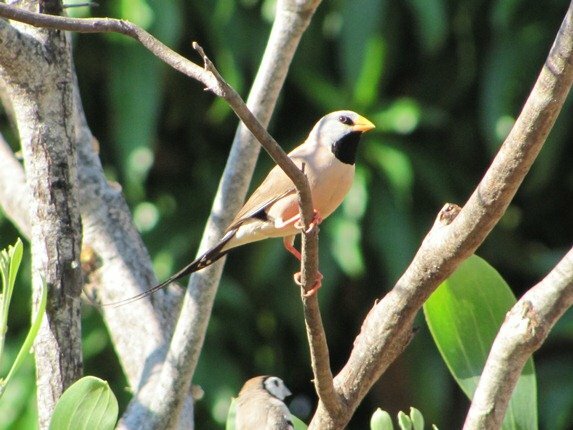 The last day of May brought the return of the Long-tailed Finch to our garden! It first entered via our pretend power line! When we first moved into our home we were concerned that the power was underground (in case of cyclones) and the birds needed a line to land on….so we put one up above our back fence! 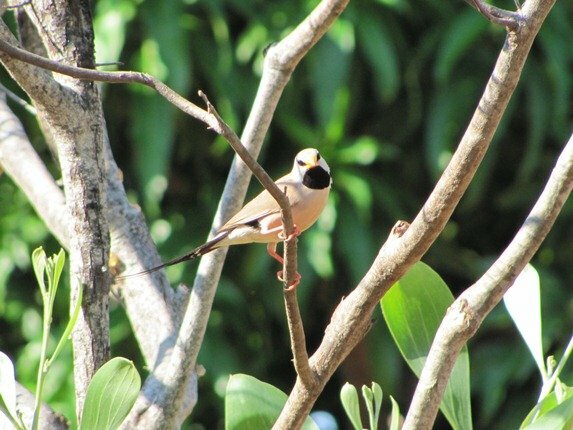 It then flew straight to the native bushes that we have close to the water that we provide and watched the Double-barred Finches drinking and bathing. 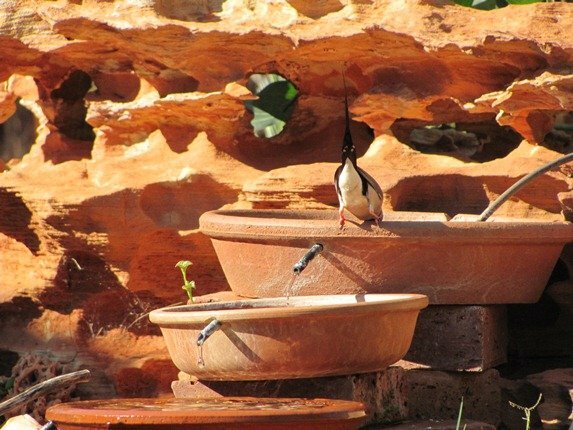 It then came down onto the water bowls that we have dripping constantly to keep up with the birds and evaporation. It was not bothered by me and in fact was happy to show me its rear! The rear of a Long-tailed Finch! So, it’s “been a long time between drinks” in our garden, but we are happy to have a Long-tailed Finch back! 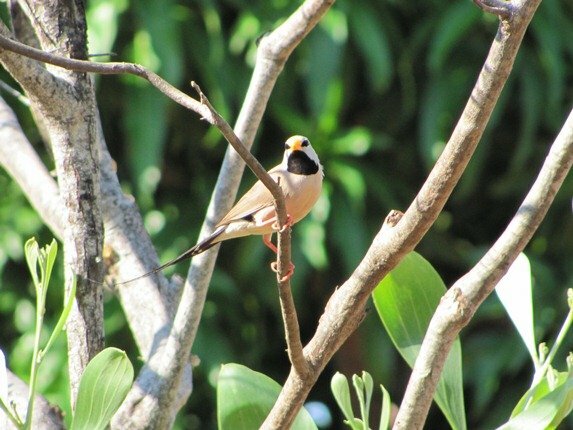 That is a very beautiful story of Long-tailed finch’s visit. Very good arrangement for drinking water. What an amazing tail on that finch! So glad you provide water and the pretend power line for your visitors. @ Kusum-yes, the water arrangement works very well! 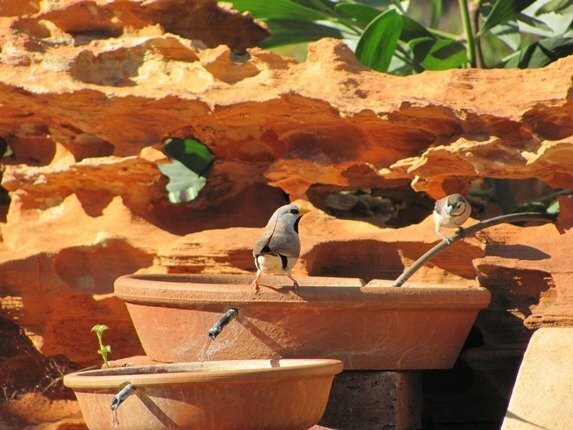 All the birds love to splash around and we have some pretty pebbles in the bottom of each saucer. Handsome bird. Think you can send one up with the Semipalmated Plover? 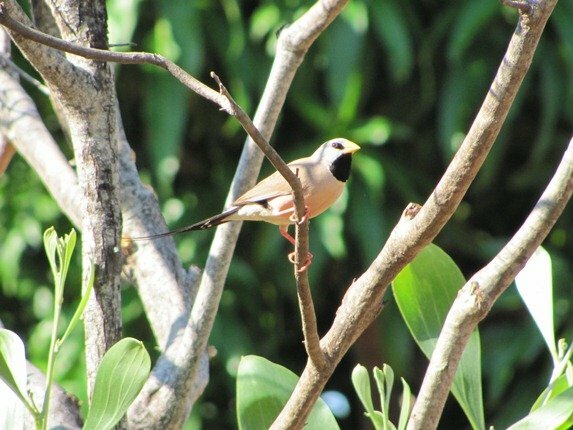 A wasted chance: Long-tailed finch? Why not Breath-taker finch? This is a beautifully crafted post, Clare. @ Clare-Mmmm…they wander, but I don’t think it wants to go quite that far! Keep your Taxonomy out of my Field Guide!